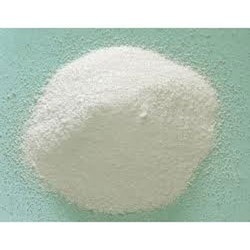 Ammonium phosphate is the salt of ammonium and phosphate. It is a highly unstable compound with the formula (NH4)3PO4. Because of its instability, it is elusive and of no commercial value. In addition to (NH4)3PO4, a related double salt (NH4)3PO4. (NH4)2HPO4 is also recognized. It too is unstable. 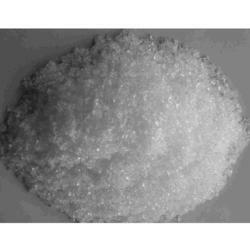 SITCO provides great quality Ammonium phosphate at cheapest rates. This is an ingredient for many fertilizers and promotes growth of plants and crops when applied to fields lacking nutrients. We bring forth for our clients Mono-Ammonium Phosphate, which is used as fertilizer in agriculture units and green houses. This fertilizer is widely used by agricultural units for protecting crops from diseases. Known for accurate composition, Mono-Ammonium Phosphate is cost effective, safe to use and in processed as per set industry standards. Mono Ammonium Phosphate is Water Soluble N – P Fertilizer contributing nitrogen 12 % and phosphorus 61%. It provides nitrogen and phosphorus to plants at all growth stages, in hydroponic as well as soil grown crops. It is free from chlorine, sodium and heavy metals. It is suitable for all fertigation systems through drip irrigation, NFT, Sprinklers, etc. Solubility in waters: 0.5% max. Appearance: White free flowing powder.